Our Transfiguration celebration was greatly enhanced by the entrance of Fr. John Vianney (formerly Fr. 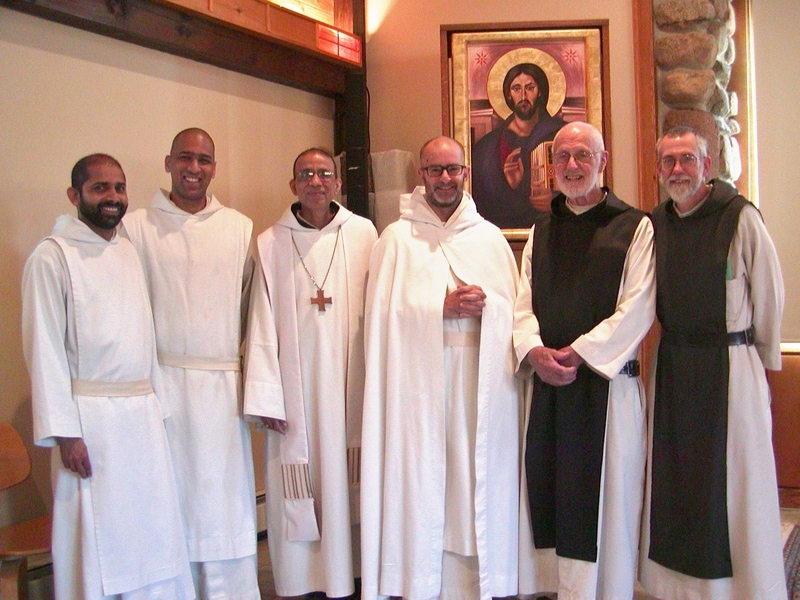 Gregory Hamill, priest of the Archdiocese of Philadelphia) into the novitiate in chapter this morning. This past week he completed his six month postulancy and made a ‘hermit retreat’ in preparation for this next step in his monastic formation which will be in two years when he will be able to take his first vows. This past week we had our friend and liturgist, Bill Bertolas with us for a few days. In keeping with our gradual, long term project of updating the chant for our celebration of the Liturgy of the Hours he introduced us to a new version of one of our antiphonaries. The first of eight. He put us through the paces by holding several chant practices for the community and separate ones for the schola along with some coaching for our upcoming organist, Br. Mary Joachim. An experienced musician before entering the community he never sat at a pipe organ before. Endowed with musical talent and by dint of hard work and much patience he now accompanies the choir each evening for Compline. We are certainly very grateful to Bill for all the time and effort he devotes to writing the music and publishing our revised liturgical books and helping us do our best celebrating the Work of God. Jesus has the vastness of the sea, of a deep-blue sea at nightfall, of a sea which the noonday sun covers with a blinding whiteness. On the horizon the sea-line and the skyline merge. In this way, Lord, as far as my gaze is able to follow You, I see You lost in the glory of the Father. 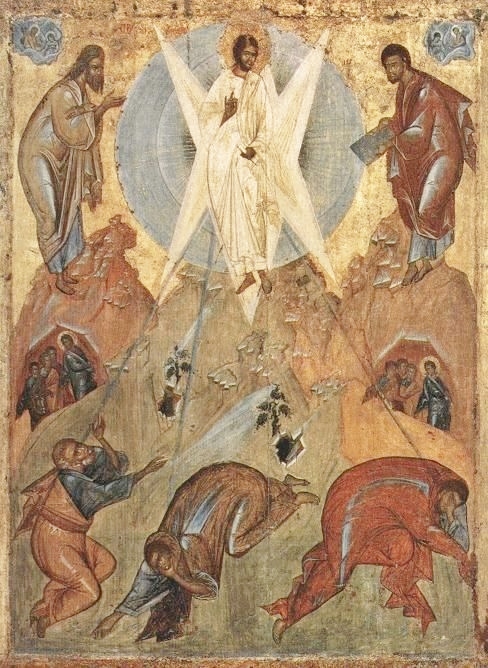 During the transfiguration, Christ’s garments became “shinning” and” exceeding white as snow, so as no fuller upon earth can whiten”. The vision of Jesus – and even the image which we form of Him in ourselves – is inseparable from that impression of light, of whiteness, of dazzling purity.